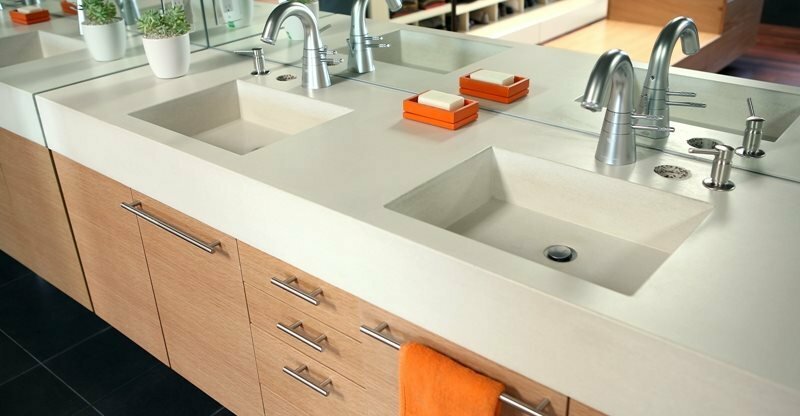 Many homeowners and designers are finding that concrete sinks are a perfect fit for achieving distinctive-looking basins. 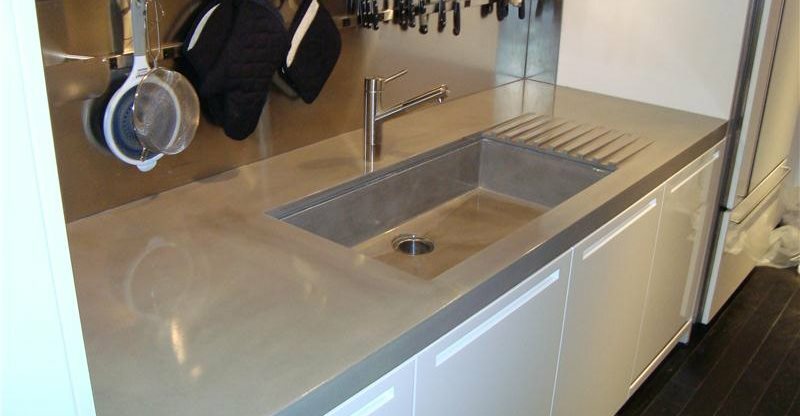 Because concrete can be poured to shape any form, concrete fits the bill for any type of sink imaginable. Whether it's square, rectangular, oval, round, or integral, concrete can be shaped to blend into any decor and style. Concrete sinks, vanities and pedestals, marked by the elegance of deep colors and strong, clean lines, add drama, style and grace to any bathroom or powder room. 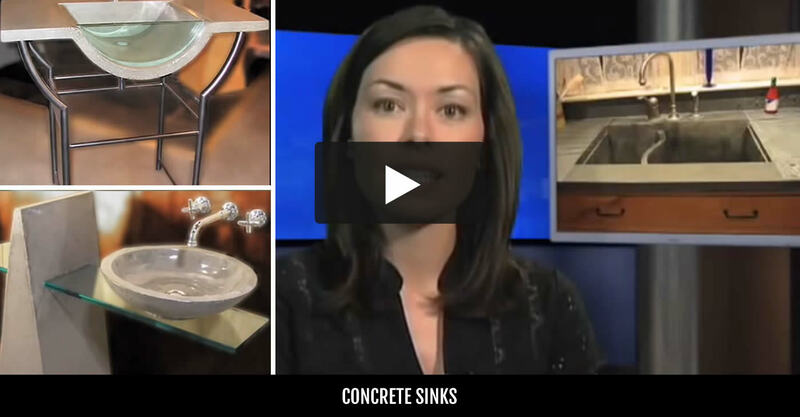 Concrete Sink FAQs Get expert answers to common questions about concrete sinks. Bathroom Countertops See how concrete can be used for bathroom counters. Concrete Bathtubs Discover six design ideas for creating distinctive concrete tubs. Concrete Style Guides Download these design sheets for concrete sink ideas in modern, old-world, or traditional design schemes. Concrete Bathroom Catalog Use this free resource as a guide to concrete sinks, vanities and tub surrounds.